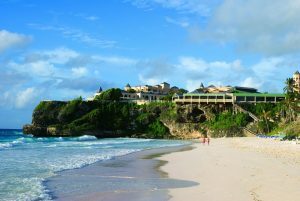 Barbados is a beautiful island a popular destination. 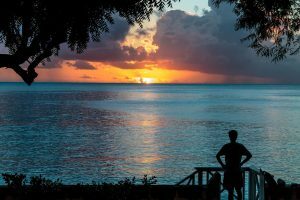 If you’ve never visited before then here are some of my travel tips for first time visitors to Barbados. Your holiday begins the moment you sit in your aircraft seat. Make the most of the eight hour flight but don’t be a dopey passenger. Time your toilet breaks in such a way that you don’t interfere with the cabin crew’s efforts to provide a smooth and efficient delivery of drinks, meals, teas and coffees, and duty free sales. 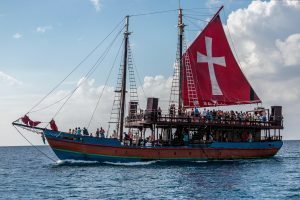 On the journey to Barbados the crew will hand out the white immigration form. Make sure you complete this while you’re still on the aircraft. Complete all the fields and don’t forget the blue section on the back! When you leave the aircraft and you’re still on the steps look to the right of the terminal building and you might catch a glimpse of the Concorde exhibition building. Bajans are very proud to provide a home to one of the original Concordes. Barbados was a favourite destination for many travellers during the 1970s and 1980s who arrived in style on the shorter supersonic flight from London’s Heathrow airport. The exhibition is well worth a visit as you can climb aboard and sit through a short simulated flight. On arrival at immigration at Grantley Adams International airport you’ll be required to hand over the main part of the white form. Keep the small slip from the bottom in your passport for your departure. The blue section on the back should be handed to customs as you exit the arrivals lounge. Once you’ve passed through immigration the red capped porters will be waiting to give you a hand with your luggage. You don’t have to accept their offer if you’re travelling light but they are very helpful. You should tip them at least $2 per item once they deliver your belongings to the taxis outside. Like any other destination there is accommodation for almost every budget, from the luxury of Sandy Lane on the west coast to cheap apartments inland. The south coast is busiest area with windy beaches and lots of hotels, many of which are all inclusive. The west coast is quieter with far less breeze and more expensive hotels looking out on the Caribbean Sea. The east coast on the Atlantic side is far less developed with only a few hotels. The most well known is The Crane which is on top of a cliff overlooking Crane Beach. 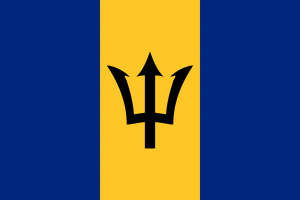 Peak season in Barbados is from November to April. This is when the prices are highest and you can expect to see the celebrities on the beaches at Christmas. The temperature is fairly consistent throughout the year and averages at about 29 degrees. Rain tends to be intense and short lived, not the dreary drizzle of the UK. The island is quieter from April to June when the hurricane season begins. Hurricanes are rare but not unknown. Some hotels shut completely from June to October. The sun is very powerful and if you’re being cooled by a breeze then be extra careful, particularly if you’re out on the water. Reflected light can burn your skin as well as direct sunlight. Ideally use high factors throughout your holiday and stay out of the sun between 11am and 2pm. The most comfortable times to sunbathe are early morning and later in the afternoon. Caribbean days start early. People are up and about at 6am taking strolls along the beaches, going for swims, and preparing for the day ahead. Dusk is at about 6.30pm it gets dark quite quickly so bear this in mind if you have driven to anywhere remote and unfamiliar. Car hire is easy and there are plenty of options. At one end of the scale there are the mokes for those on a budget and at the other there are executive class cars with a daily hire rate to match! A small car with air conditioning is best for most people. Mokes are fun but they don’t protect you from the elements and they don’t provide any security for your belongings. When driving in Barbados be aware that the roads are bumpy and pot-holed. Signs are sometimes hard to read or don’t exist off the main highways. Watch out for the buses. There are two types, blue and yellow. They can sometimes be a little too close to the middle of the road. Driving at night in Barbados requires more concentration. There are no white lines and few street lights outside the main towns. There are deep uncovered storm gullies alongside many roads and few pavements. Consequently you should keep a good lookout for pedestrians, cyclists, and animals, while avoiding the buses coming in the opposite direction. If you are exploring the island then it’s best to set off at such a time that you are left with plenty of daylight to find your way back. It’s no fun being lost in the dark trying to find the way back to the hotel among a warren of unmarked roads and lanes. You can hire cars with sat nav but you pay extra for it. Food varies in price from delicious curried chicken and macaroni pie from the back of a van in a car park to fine dining. Restaurant prices can be a bit of a shock, particularly on the west coast. Here’s another post about the my choice of the six best restaurants in Barbados.